Can’t decide whether to head to a golf course or go on vacation with your family? Why not do both? Thailand is the premier golfing destination of choice with its spectacular courses, incredible facilities, and exotic holiday offerings. You’ll fall in love with the many Thailand golf courses – giving you the chance to combine an exciting holiday with your favorite sport. Showcasing the rare opportunity to blend a holiday and sporting experience like no other, visitors to the region have an incredible selection of world-class golf courses to choose from… in the most unique places on earth. Many Chiang Mai golf courses bring this sport together with eclectic tourist attractions, so no one feels left out. 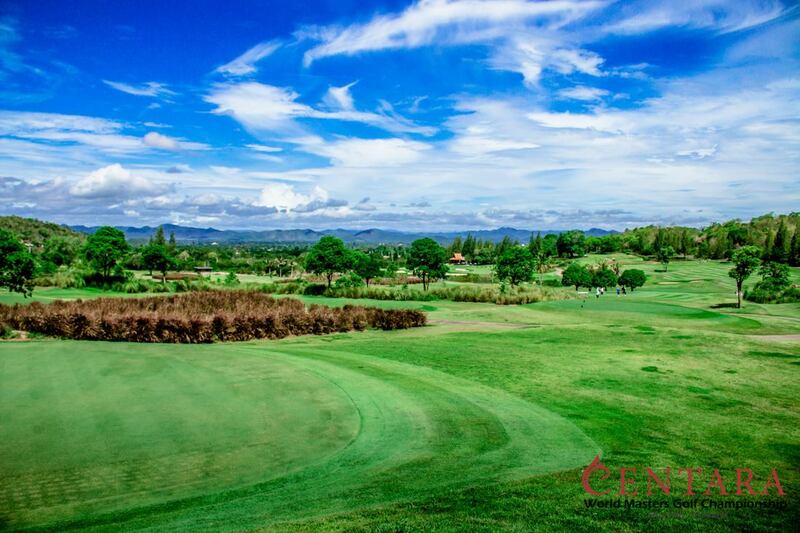 Chiang Mai houses a 27-hole course – The Lanna Golf Club. Offering spectacular views of the famous Doi Suthep temple and fringing the racetrack, this course makes it easy to enjoy a challenging day of golf. You can also explore other interests like horse racing without having to travel elsewhere. Nestled against the framework of Thailand’s tallest mountain, Chiang Mai Inthanon Golf Course & Nature Resort is a relatively new course enclosed by tropical fruit orchards. Fresh mountain air and panoramic vistas make this an attractive golfing experience. For the luxury adventurers keen on staying on the golf course, The Royal Chiang Mai Golf Club & Resort is the perfect solution. The backdrop encompasses some of the most unique natural scenery – within a valley – to make your golf holiday unforgettable. An underrated vacation destination in Thailand, Isaan is an off-the-beaten-track getaway with some stimulating golf courses and distinctive experiences if you’re willing to explore new regions. 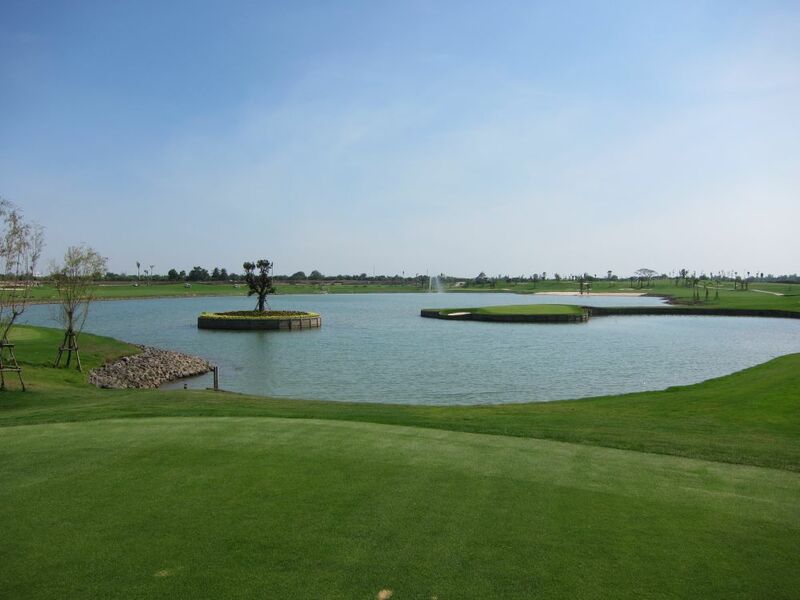 The Singha Park Khon Kaen Golf Club provides a stern challenge for both novice and experienced golfers. Meandering through 9 lakes and engulfed with sand bunkers, natural stones, and native trees, take the time to enjoy the spectacular backdrop as you perfect your putt. If you’re looking for an easy golf course with plenty of natural beauty, Dancoon Golf Club is an excellent choice. 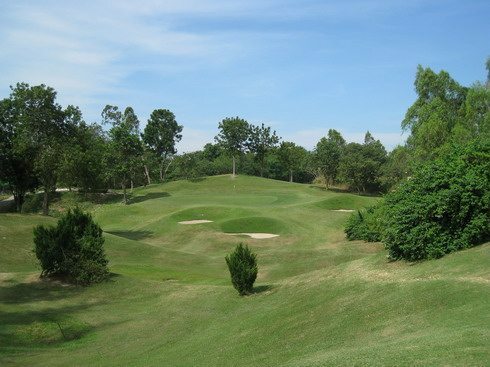 This regulation 18-hole golf club in Khon Kaen boasts generous fairways with reasonable undulations and slopes. End your day with a delicious Thai fare at the course restaurant. 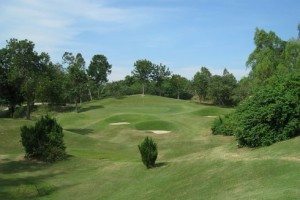 Isaan golf courses have excellent layouts with different degrees of challenges, so you have the flexibility to choose one that most suits your style of stroke play. Despite being best known for its pristine waters and unparalleled coast, Thailand brings much more to the table – especially for avid golfers who want to explore and experience more exotic and non-traditional destinations. 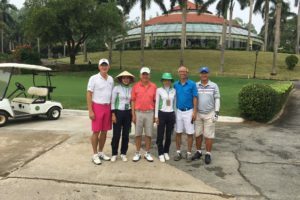 Combine your love of golf and holiday with these fabulous golf holiday packages from Golf Asian and turn it into an experience you will never FORE get. Showing up to a golf course only to discover that it has recently undergone an aerification process is never a good thing. Clients have, after all, paid a relatively large sum to travel to play overseas. You were expecting the golf course, and especially its greens, to be in great shape. Instead you find them full of little holes or covered in sand or other topdressing. 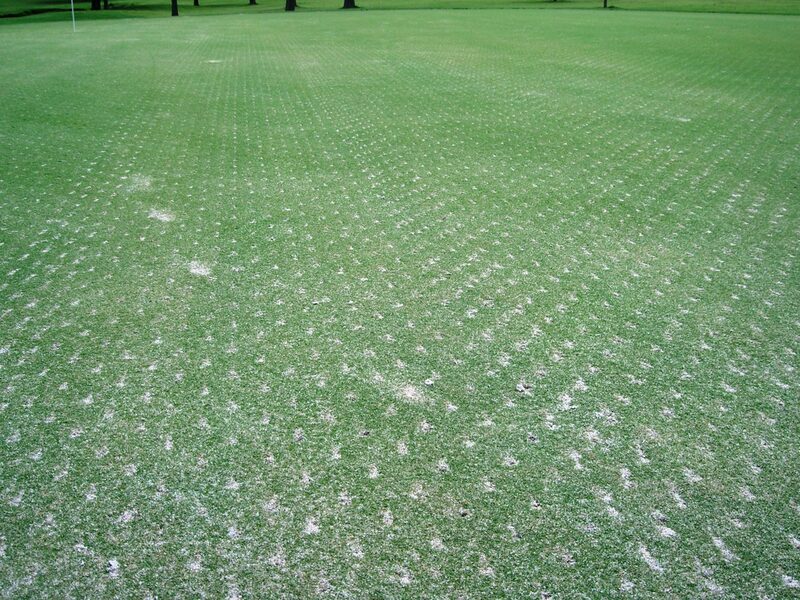 Golfasian understands that the golf course aerification process can be especially frustrating to golfers. Aeration usually involves removal of half inch plugs that are subsequently filled with sand (topdressing); another word for this is coring. Other aerification techniques use machines with tines, or knives that simply poke holes through the soil; these have far less impact on the smooth roll of your ball but all in all a green isn’t at its best post maintenance of this kind. But I can hear a great big “so what…I don’t want to play greens like that when I’ve travelled 2,000 miles to play golf, what are you doing about it?” The good news is that generally significant aeration takes place twice a year and at a time which is logical. When would you rest your soccer team….post and pre-season in all likelihood and greens get the same treatment. Thus in Thailand aeration takes place in April when the rains arrive and high season ends, and September when the course is gearing up for the new high season with maximum traffic starting November. Are you aware that Golfasian publishes golf course maintenance plans every month in its newsletter? Course inspections are also carried out to give notice that the greens may be particularly challenging. Bottom line, everything is done to guarantee the client a great day on the links. Whilst trying not to be too tongue in cheek, does showing up to a golf course that is in the throes of aerification guarantee a bad time or a bad score? Consider the fact that PGA Tour legend Tom Watson shot a sizzling record 58 at his then-home course, Kansas City Country Club, just days after the greens had been aerated. Consider also that aerification is merely a short-term disruption that has long-term benefits for golf courses. When you see them, remember that without those little holes, the greens would eventually die…and with a more positive stroke a good score is still possible. But rest assured, if Golfasian finds out that your best interests aren’t being served, everything will be done to resolve the problem, rescheduling where possible. We are aware that Thailand’s tropical climate has a rainy season (Apr-Nov, see https://www.thailandgolfzone.com/thailands-rainy-season-how-does-it-affect-our-golf) and the remaining months enjoy hot and predominantly dry weather throughout, resulting in a tourist “high season” especially in respect of golfing visitors. The 4 main golf areas, Bangkok, Pattaya, Phuket and Chiang Mai all have to manage their water in this period in order to sustain good playing conditions throughout the year. When water is scarce, there is the added challenge that community demand takes priority. Thus, sustainability becomes paramount and stockpiling precious water in the rainy season essential. Designers are very aware of this which is why water features abound in Asia and strategic reservoiring in the form of large lakes is no accident. A great deal of time and specialist expertise is invested in planning for water sourcing. We all want our courses to be lush and green and when conditions are parched, greens rock hard and fairways threadbare we notice; although every cloud has a silver lining and 40 yards run on your driver comes in very handy! Notwithstanding, drought conditions are bad for business…visitors expect the best experience and take good conditioning for granted so the 2015/16 dry season has been a significant challenge as genuine drought conditions prevailed for the first time in years. One prestigious golf course in particular suffered; Springfield Royal Country Club near Hua Hin. This superb Jack Nicklaus design was hit hard with its various lakes as low as 10% capacity and significant restrictions placed on water usage. Others in the area faired just as badly, but the 2 most prestigious local courses Black Mountain and Banyan weren’t impacted so severely, perhaps because they planned better or maybe they were just luckier. Black Mountain was of course hosting the True Thailand Classic in February and needed to be in prime condition in front of the television cameras but a few months later even they were seen to suffer “around the fringes”. The drought was certainly bad with almost no rainfall from November until late May; just a couple of showers in January which made no impact. It was the worst drought in Thailand in almost a decade. The last was in 2009 but this year was more severe. An additional factor is that Hua Hin’s population is also expanding rapidly and the growing demand for domestic water risks outstripping supply completely. There are rumours of water pipelines from outlying areas that support Hua Hin but as yet nothing concrete has been announced. This isn’t a new experience for global golf. 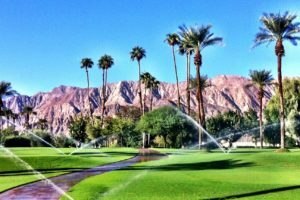 In the United States, in areas that suffer from water shortages throughout the year and experience high household demand, such as California and Arizona, the golf community has always struggled with its water consumption, environmental credentials and aura of exclusivity. When Californians can’t clean their beloved cars because of hosepipe bans and on the television and lining magazine shelves there are glossy pictures of pristine, fabulously green fairways with what appears to an extravagant use of sprinklers used to maintain this idyllic lifestyle for the wealthy and privileged, naturally there is a clammer to close the whole industry down. Thailand doesn’t yet face this type of problem and water management is very clearly a challenging and complex issue as periods of severe flooding give way to drought. Nevertheless, the golf industry, which is an important and growing contributor to the country’s tourism offering needs to do all it can to plan for the threat of drought and manage its resources accordingly to minimise the risk of losing some courses altogether. I shall end by saying that from what I experienced this past weekend, happily the staff and management at Springfield Royal Country Club have recovered their course to full playability which is good news for golf fans. What makes Nikanti Golf Club an unusual golf course? It seems like the golf architect Pirapon Namatra (Ope) of Golf East listened quite a lot to Tina Turner’s famous song ‘Break every rule’ when he designed Nikanti Golf Club, Asia’s first 18 hole, par 72 golf course comprising three six-hole layouts each with two par-threes, two par-fours and two par-fives. 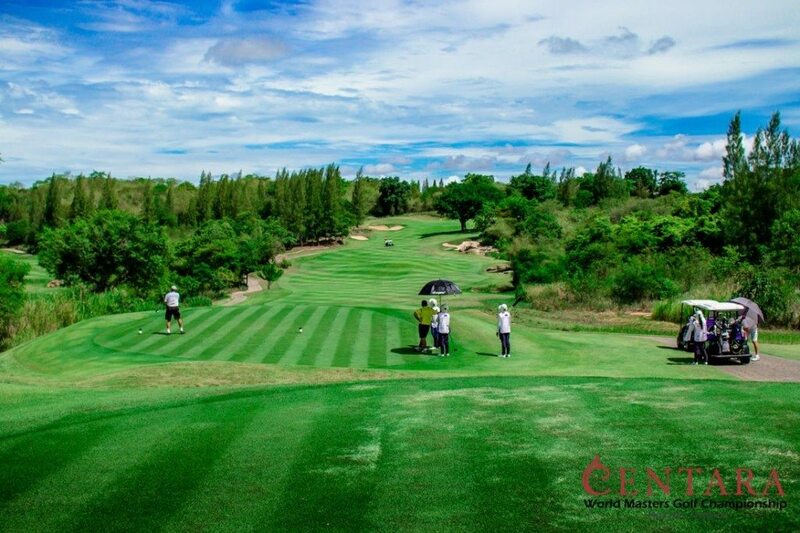 Thailand’s 291st golf course was opened in May 2014. The Nikanti Golf Club is almost adjacent to Suwan Golf Club. 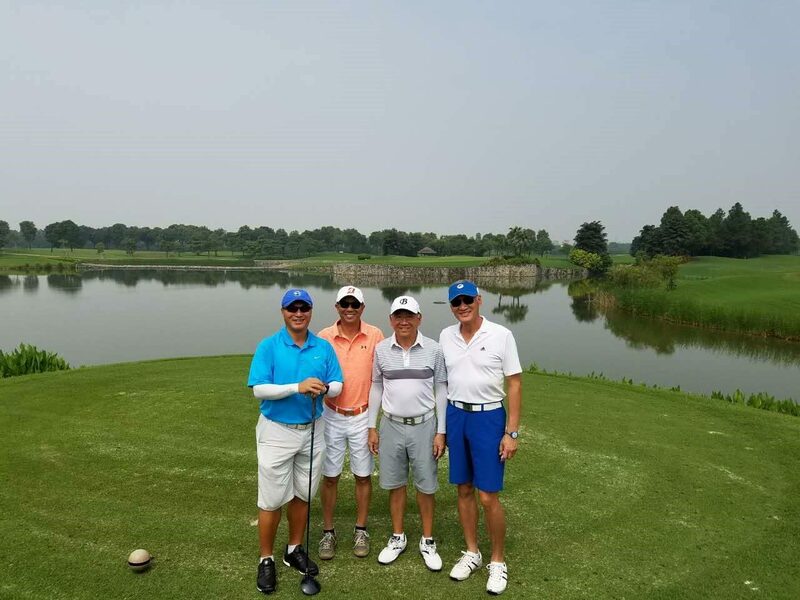 When Pirapon Namatra (the designer of Banyan Club and part of the construction company responsible for Siam Country Club’s new Siam Waterside) invented and implemented his ‘triple-six’ concept, he introduced a new distribution of par-3, par-4 and par-5 holes. Rather than having traditional front and back nines, here there are three loops of six, each one returning to the stylish and soon-to-be sumptuously appointed clubhouse. The reason, flexibility. Don’t have time for a full 18? Just play 12. Want to have another go at the reachable but dangerous par-5 18th? Why not squeeze in that final loop of six? Nikanti is comprised of three six-hole layouts each with two par-threes, two par-fours and two par-fives. 6,789 yards from the back tees, each group of six holes is distinctive in look, design and play – offering several options of attack. Another example of uniqueness of the golf course is the focus on shot-making. This way, you will be able to test your ability to control the flight of the golf ball through adjusted swing paths. Bangkok courses are often criticized for their lack of elevation change, but that’s not the case here. It seems like that the developer and the architect Pirapon Namatra of Golf East, had considered the 4 most important issues of golf course development during the evaluation of the property: acreage, topography, soil, and vegetation. A good example of topography is the incorporation of the area’s naturally rolling terrain. As well as this he did not neglect the environmental aspects. By incorporating the native vegetation, the course was given character and beauty. It is also interesting that Nikanti is a pay-to-play development; it does not offer memberships. The elegant clubhouse, modern and luxurious, feels sumptuous and classy. The Nikanti team has paid attention to the details when instead of providing regular golf carts they selected Club Car’s GPS-equipped golf carts. You will love the Visage GPS technology that can not only manage your score, but also navigate easily on the golf course, order food and drink or simply book new tee-times via the touch-screen interface. Thanks to Nikanti’s all-inclusive philosophy guests not only get for their green fee and GPS-equipped golf cart but also the caddy and lunch. What makes Asia’s 1st replica golf course unique? The Gary Roger Baird-designed Royal Gems Golf City’s life and operations did not start smoothly (in the 1960s and early 1970s Baird worked as a senior architect with Robert Trent Jones). Right after the opening in 2011, it suffered significant flooding in December. However, they were able to reopen the golf club in 2012. Royal Gems Golf City is Asia’s first replica golf course and combines 9 of the best holes in the world (see list below) like TPC Sawgrass, St Andrews and Oakmont. The back 9 of the golf course is the replica of Augusta National’s back 9 holes. Thus, you will be able to experience Amen Corner yourself. Hopefully, when the hundreds of young trees mature and reach their full height then it will really be like at Augusta. What makes this golf course unique is that each hole has its own individuality and will challenge every player. 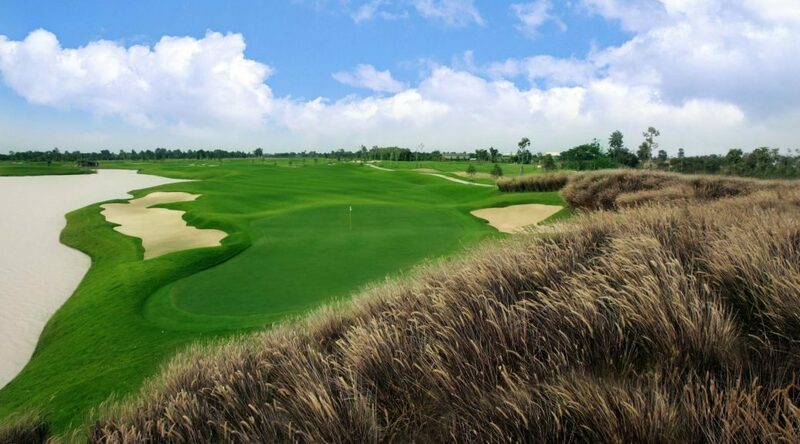 In its current form, Royal Gems Golf City is a par-72, 18-hole, 7,075-yard golf course. Royal Gems offers a combination of American, Scottish and Thai characteristics. Where we can play golf now, once there was a thousand rai of paddy fields. The remains of the paddy fields you can still see adjacent to the golf course. The golf club is situated in pleasant, natural parkland to the west of Bangkok. The course has a few lakes, fast greens, narrow fairways, deep rough and enormous bunkers. Use of the club is restricted to members and their guests only but Golfasian has managed to gain access for its clients. Royal Gems Golf City is one of the very few golf courses in Thailand to be an official member of the United States Golf Association and is approved for professional championships. How do you decide on which amateur golf championship is worth to participate? 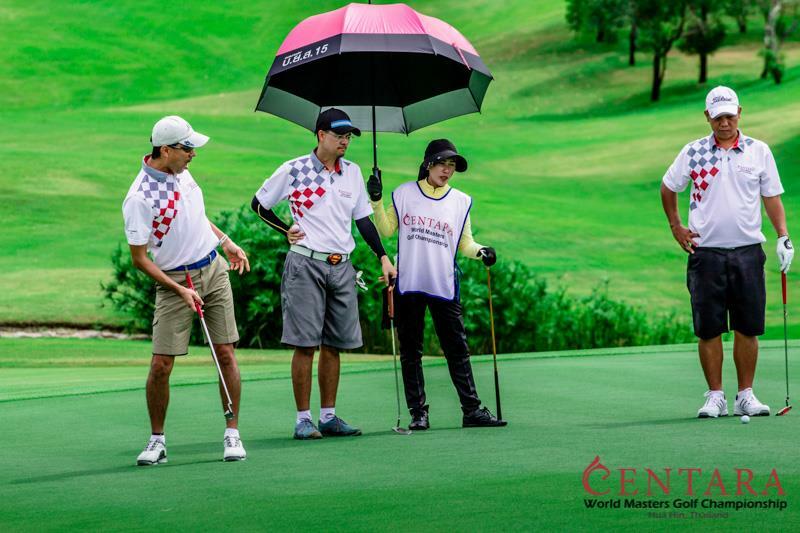 Based on the positive responses from golfers from 23 countries who played in the first Centara World Masters Golf Championship in 2015, I can strongly recommend to you to come and play this year. 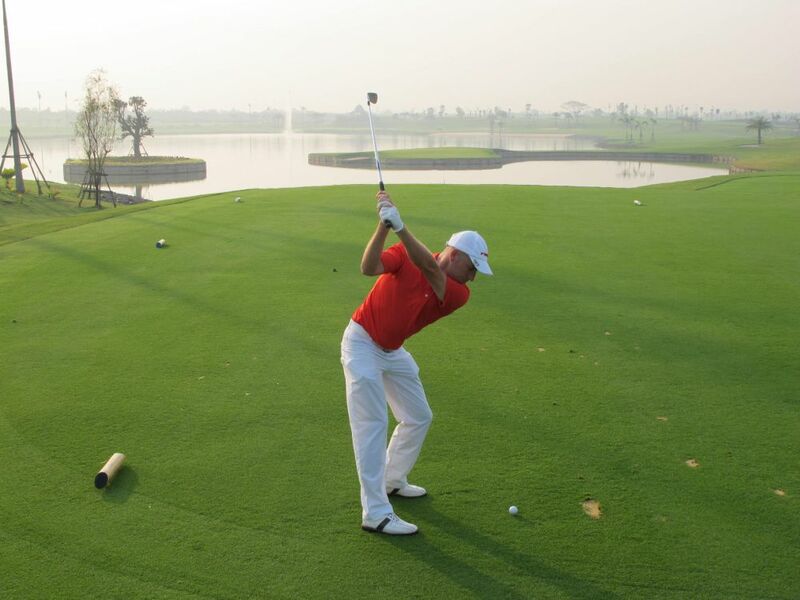 The Centara World Masters Golf Championship is Asia’s largest and richest amateur week of golf. The Centara World Masters Golf Championship will be hosted in the royal city of Hua Hin (Thailand), between 12-18 June 2016. Entry is open to all the male and female golfers over the age of 35 with an official handicap. All golfers play a 72 hole single Stableford event while “A” grade golfers are eligible to compete for the best stroke / gross. Over US $30,000 in prizes and lucky draws will be given away at the gala presentation dinner. Springfield Royal Country Club: 27 holes, par 72, 7043 yards. As you can see from the list, the organizers are providing the opportunity to play on different kind of golf courses where the quality of green’s and fairways’ conditioning are out of the question. 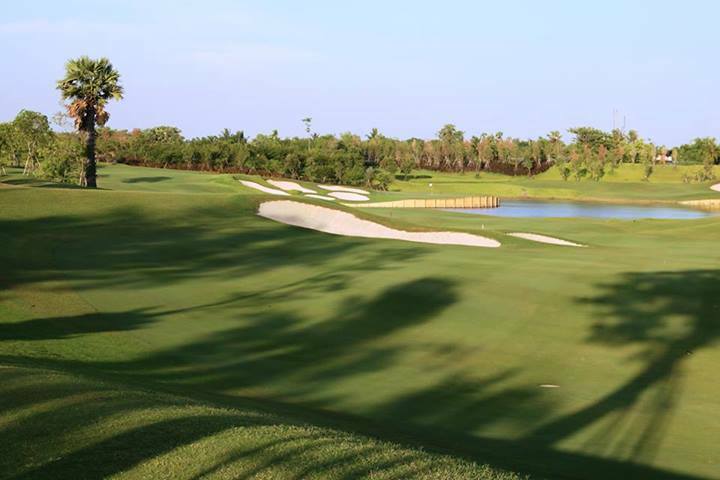 Banyan Golf Club: in 2011 was named as the 3rd best course of Thailand at the annual Asian Golf Monthly awards. In 2012, the club received the Asian Golf Monthly awards for Best Clubhouse in Asia Pacific. 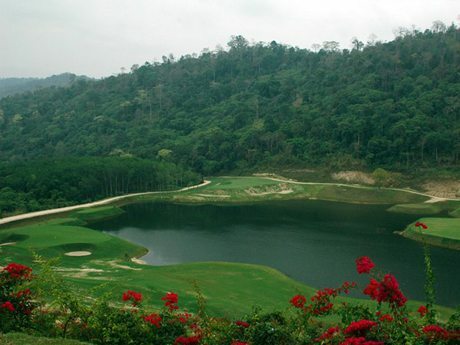 Black Mountain Golf Club: it is the only course in Thailand ever named in Golf Digest’s Top 100 Courses Outside the US. The club has hosted 3 Asian Tour events. They were the “Best Course in Asia Pacific” in 2014 and 2015. The par-5 18th makes for a dramatic closing hole. Imperial Lake View Resort & Golf Club: The club offers 36 holes with 4 challenging golf courses: Mountain, Lake, Desert and Link, designed by Roger Packard and Ronald Fream. Springfield Royal Country Club: a TOP 10 golf course in Thailand ranked by Golf Digest; Jack Nicklaus-designed golf course. Has something to add to this story? Share it in the comments! 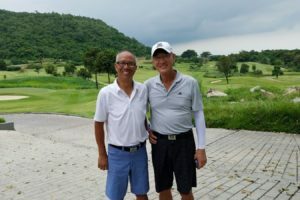 This month I was invited by the General Manager, Derek Schade, to review Chiang Mai Highlands’ new nine holes which opened to the public on November 1st. Derek had only taken up his post at Highlands recently after a successful period running Lotus Valley Golf Resort. There was a “return of the prodigal son” element as he had previously managed the Golf Club and enjoyed working closely with the inspirational owner Khun Vichai who persuaded him to re-join the Team. As I hadn’t played in the area for several years, and given Chiang Mai Highlands Golf & Spa Resort was in the running for the 2015 Asia Golf Awards Best Golf Resort in Asia Pacific (they subsequently won! ), I took the opportunity to explore the whole facility and give readers an insight into what the complete package offers. First, golf in the Chiang Mai area is a wonderful experience not just because of the spectacular backdrop of lush, verdant hills. It is also due to the general climate which is just that bit more forgiving than central and southern areas of Thailand with temperatures and humidity 5-20% more favourable. As its name would suggest Chiang Mai Highlands takes particular advantage of the locale and the designers Schmidt-Curley, who have delivered several projects in Thailand, notably the prestigious Amata Spring home to the Thailand Golf Championships, were eager to leave their mark yet remained sensitive to the beauty of the region. They were able to create something challenging and rewarding yet natural, sitting comfortably within its surroundings. Lee Schmidt was the actual designer of the original eighteen and designed the new nine. Whilst subtly different in that the fairways on the new ‘C’ Course are wider and more forgiving, plus the greens much larger with distinct tiers, it is clear all 27 holes have the same DNA. Every shot requires an element of strategic thinking followed by sound execution in order to steer clear of hazards. These are natural in the form of young and mature trees or streams that meander throughout the course, plus bunkers that define the “smart” landing areas off the tees as well as approaches to the greens. These aren’t the only architect’s tools in use because the lay of the land allows for significant slopes and undulations, complemented by mounding that provides for a great or otherwise lie and/or line to the green. Many greens have severe run-offs but they are a large target so it’s not all penal. Just like the original eighteen this nine exercises the brain and cannot be overcome by brute force alone. A case in point is the first hole; a 545 yard par 5 that doglegs left at a distance of about 300 yards from the blue tees. Standing on the tee you’ll straight away see the owner’s sensitivity to the environment because only 80 yards from the tee on the right sits a quite lovely tree that ever so slightly prevents a completely unimpeded view and on many courses would have been removed; I’m glad it’s there. Bunkers at 250 yards on the left dictate a drive that favours the quite open right hand side but then you wonder if the chance of getting on in two is out of the question. It probably is for all except the likes of Rory McIlroy because once the hole turns left the ground climbs sharply to the multi-tiered green which slopes from front to back and provides for 2 very different pin positions. Even for a layup second the left side is peppered with bunkers such that the right hand side, and far right at that, is the only sensible option no matter how alien it feels. From a hundred yards with a sand wedge in your hand the perspective changes and for the first time 2 deep bunkers guarding the right of the green stare you in the face. In essence at every shot selection your decision process must be considered and measured, weighing risk and reward. Such is the case with every hole on the nine from a long par 5 to a short par 3. One striking feature of the nine holes was how good their conditioning was; a credit to the fact the owner didn’t want to rush the opening but rather wait until the nine holes reflected the high standards of the original A/B course. I implore you to discover all this for yourself and am confident you’ll walk away delighted. 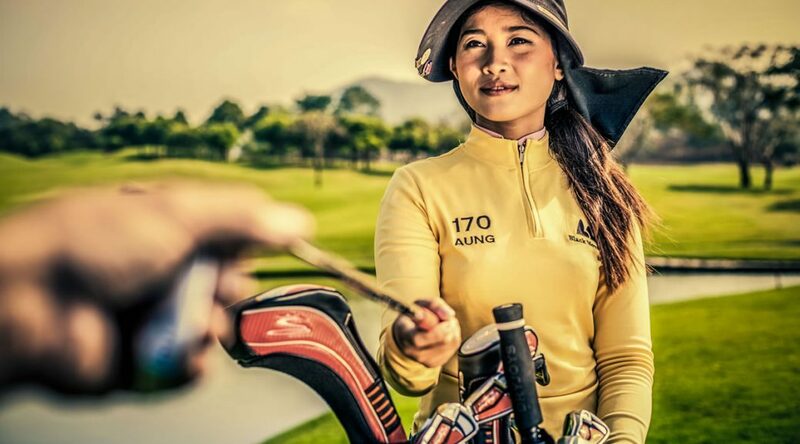 Undoubtedly Thailand golf is gaining in profile and quality thanks to a growing golf tourism market and increased television exposure of tournaments such as the Thailand Classic (Black Mountain) and Thailand Championship (Amata Spring). These 2 courses compare with some of the best in the world but understandably with that comes a price premium. I can see that someone arriving to play in Thailand probably will be looking for something special but perhaps they might wish to look further for an experience that is equally rewarding in different ways, but at a relatively bargain price. First of all I’ll qualify this. If your home course is always in superb condition and that’s what your game is used to undoubtedly anything less than perfect might affect how you play and therefore how good a day you have. Standing on the first tee your eye may be drawn to imperfections instead of your target. If the greens you are used to are billiard smooth and 11 on the stimp then putting might be a frustration as your silky smooth stroke repeatedly comes up short or the ball takes the odd unfortunate hop. 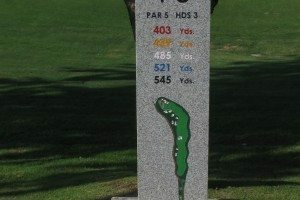 Pattaya has some tier one courses with excellent conditioning year-round, notably those of Siam Country Club which are always immaculate, but because of a different level of investment or expertise, the majority are most definitely good/decent rather than excellent and in high season get a lot of traffic. The key is to take the odd rough patch in the fairway, badly raked bunker or slow green in your stride and adapt. Make the day about the experience from start to finish rather than anticipating the score; you might very well be surprised how things turn out. For me it starts at the bagdrop where every single time I am treated like I have just arrived at Augusta National. The clubs are lifted from the boot (trunk) of my car by a nice lady and delivered to the first tee (or driving range) as if by magic. One of the things Thailand does very well is club houses which are generally very lavish even amongst tier 2/3 clubs. We change in a place that is spacious, well appointed and staffed such that clean shoes after the round are the norm for only fifty baht…this is lavish treatment. When I’m ready for golf there are several venues where early in the round, if not the first tee, I can simply take in the view and appreciate how fortunate I am to be playing golf in the sunshine, with friends and in such surroundings: the Pete Dye-designed Khao Kheow springs to mind, as does the spectacular Wangjuntr (Highland Course) in the feature picture and Nick Faldo-designed Emerald which is a little off the beaten track. I have played all of these in good/decent conditions as well as relatively “agricultural” but enjoyed every occasion just because it was fun and incredibly affordable. What surprised me most was I tried to concentrate on taking the rough with the smooth, focusing on accuracy rather than power, positive chipping and putting rather than finesse and lo and behold the scores weren’t that bad at all. To cap it all, when I’d showered and changed and was enjoying a drink and some banter with the group, usually on a terrace overlooking the 18th, I felt good about the day…as good as if I’d played immaculate Siam Plantation. The difference is I had more cash to spend on Pattaya’s nightlife so the day just got better and better. 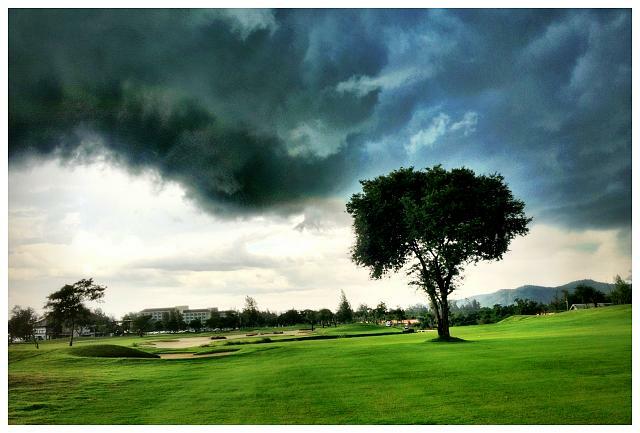 Thailand’s rainy season – How does it affect our golf? Thailand’s rainy season runs from approximately May to November when it gives way to the cool season ending in the particular hot and humid month of April. Both terms are slightly misleading (we will deal with rainy) given Thailand has a tropical climate so temperatures are generally high throughout the year although the high ground in the north around Chiang Mai can produce genuinely frigid weather. Rainy season is influenced by the south west monsoon, but Thailand does not actually experience monsoon conditions; persistent heavy rain. Due to a measure of protection from Myanmar, rather Thailand experiences late afternoon storms and significant downpours that may result in flash floods although lasting no more than 60 minutes. So what does this mean for us golfers? First, let’s examine a fact…in 15 years of playing golf here, I have been rained off the golf course completely only once, mainly due to the rather impressive lightning at the time plus I was near the end of a poor round; interestingly, those braver than me with better scores finished much to my astonishment. Several rounds have been interrupted, some for up to an hour but that has been very rare. The fact is, Thailand golf course designers took the climate’s impact into consideration. Thailand’s courses drain superbly, such that even in the face of a deluge they recover to full playability in only a matter of 10-15 minutes, particularly the greens (the bunkers do have the odd puddle). While back at home in the UK, if there was a downpour we’d huddle under some trees if too far from the clubhouse, here there is a drink/snack stop every 3 holes so not only is there shelter nearby, but also the opportunity to get to take a break with your companions. Interestingly, because it is the tropics, many of the storms are spectacular and an experience in themselves. Bottom line, dealing with the weather as it affects our golf simply requires either planning or patience. First, the storms are extremely predictable, mostly occurring at about 4 in the afternoon so it is sensible to book rounds that end before then. Secondly, if weather occurs take it in your stride and be confident it isn’t the end of the day for you: accept the interruption and use the opportunity to discuss your round thus far or simply enjoy what inevitably is a spectacle. 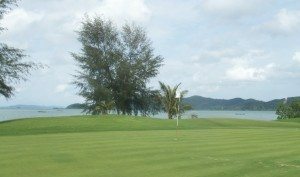 Why golf in Thailand? Thailand is probably the most spectacular golfing destination in the world, the beauty of her golf courses expresses it all. We have lush greenery year round with palm trees and every other type of tropical flora and flowers creating a feast for the eyes. Beautiful lakes and waterways, birds you’ve never seen before become a breathtaking walk in the park. Churchill was so wrong when he said “golf is a good walk spoiled” – he never played in Thailand! The challenge of golfing in Thailand is also an important aspect and I promise that you can never get bored. Many of the courses are designed by the world’s most famous golf architects creating challenges that even the best golfers dream about. For all levels of golfers from their respective tee boxes the challenges abound. Even for the beginner it’s game on, but set up with wide enough fairways and safe passages around water. Also great planning, as you get a refreshment kiosk twice every nine holes unlike other places where if you didn’t load up before the first tee you get one chance at the turn. Cold drinks, chicken legs, sticky rice, fresh tropical fruit, and sandwiches – a quick bite before you move on. Even a cold beer if you are so inclined. Some of the courses even have a cold moist towel right out of the fridge at each stop (now that is refreshing)! After your round the clubhouse restaurants provide some of the best Thai, Japanese and Western cuisine at reasonable prices. A great part of the golfing experience in Thailand is the caddies. Honestly, how many golfers have had a caddie along with them during their round of golf. They are all women and speak a decent amount of English to make for good golf communication. They know the golf courses like the backs of their hands, reading your putt lines (even lining up the ball), telling you distances, which club to use, sometimes even a little coaching – but always full of positive encouragement. This makes for a great social golf day out with your added gallery and applause after your good shots. Thailand has numerous courses that offer night golf with decent lighting, as many Thai’s prefer to stay out of the sun. It is a challenge in and of itself, but adding golf and romance to the mix. It is the perfect time to play with your partner on holiday. With warm weather, the stars above and perhaps a bottle of wine in your golf cart surely becomes a relaxed and romantic evening out. Definitely let this be one of your experiences when golfing in Thailand. On a final note; Thailand enjoys the best weather regardless the time of year. Mid November thru March is optimal, where we have cooler and rain free days. Green fee and caddy fees are very economical for the quality of the courses you can enjoy. Come and experience the friendly hospitality of the Thai people and their superb golf courses. Hope to see you out here for one of your most memorable golfing holidays ever! Nowadays golf resorts like Mission Hills Phuket and Bangkok Golf Club are offering unlimited golf holiday packages. These golf vacations are nothing new, but in fact they may be only a ploy to lure visitors to less than ideal courses. Think about it, there are only 12 hours of daylight in Thailand and the weather is generally hot and humid all year long. Therefore, how many round of golf can you play in a day? Wherever and whenever you play golf in Thailand, you’ll find courses designed by some of the best golfers, including Jack Nicklaus, Nick Faldo, Peter Thomson, Greg Norman, and Arnold Palmer. 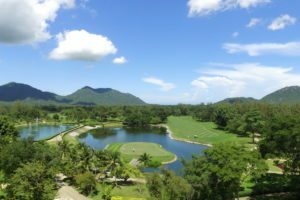 Will Thailand Become The World´s Biggest Golf Destination? Lately Thailand golf tourism has skyrocketed to an estimated 750,000 arrivals in 2012, up 50% over the past three years. This is worth an estimated US$2 billion in revenue to the Kingdom. There is no doubt that Thai golf tourism is riding on the back of a general tourism explosion, with total foreign arrivals doubling over the last seven years to more than 22 million in 2012. 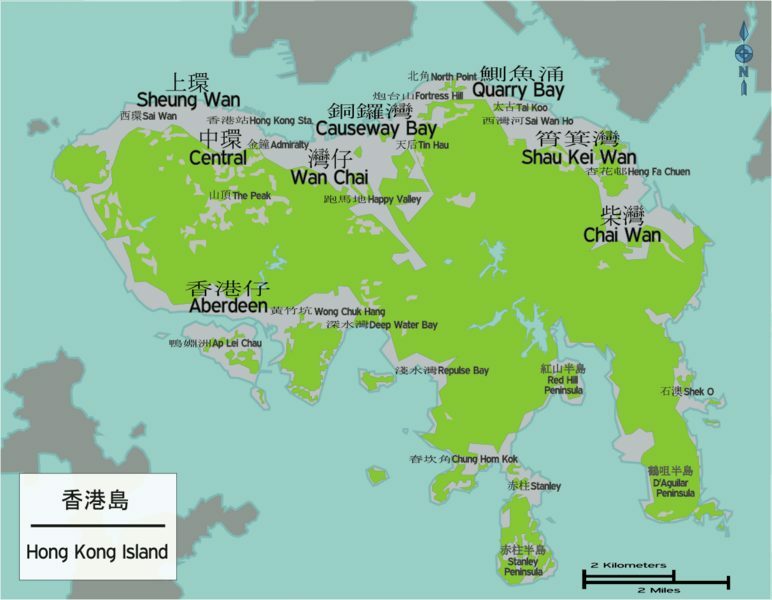 Singapore (8): For a small island state Singapore has allocated land for close to 30 golf courses. 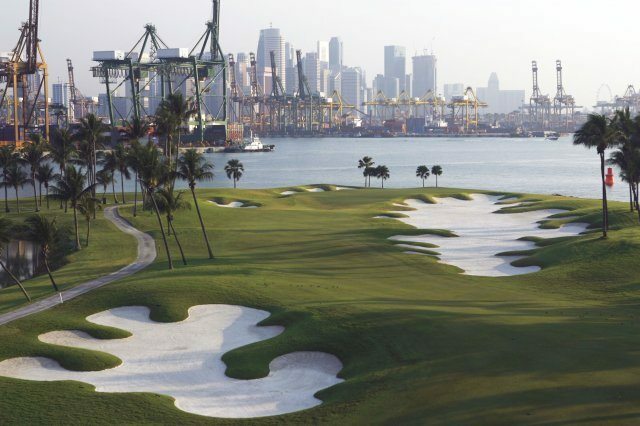 The quality ranges from good at course like Orchid and Raffles to world-class at Laguna National and Sentosa Island. Thailand (7): Of the 280 golf courses in Thailand, 60 are up to international standards. Thailand’s best courses include Siam Country Club in Pattaya and Black Mountain in Hua Hin. 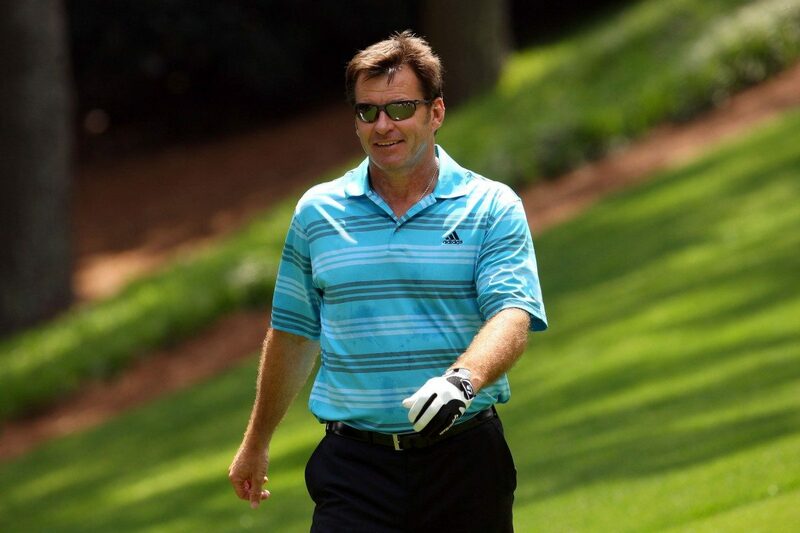 Both have played host to major professional golf tournaments and have been heavily honored by major golf journalists. Singapore (6): Singapore is a well-developed international tourist destination and as such the service is generally good from those working in the service sector. The main thing missing from golf in Singapore are caddies as labor costs are prohibitively expensive to enable this. Thailand (10): The Thai people are renowned for their friendliness and this shows on the golf course as well. Locals golf side by side with golf visitors and all Thailand golf courses include individual caddies as standard. Thailand (7): Thailand has 280 golf courses and many have won numerous “best of” awards including Black Mountain Golf Club (100 Best Courses Outside the USA, Golf Digest 2012) and Thai Country Club (Best clubhouse in Asia, Asian Golf Monthly, numerous years Ina row). Russia (4): Service is missing when golfing in Russia. Caddies are notably absent and to date golf is considered an elitist game. 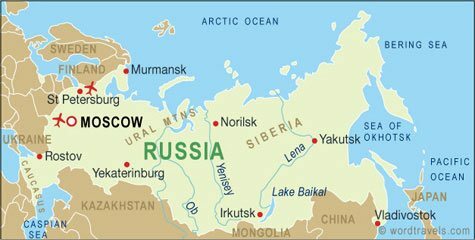 Hardly any Russians know the proper golf rules or golf etiquette. Thailand (10): Service with a smile is standard all over Thailand and the golf courses are no exception. You should plan on meeting friendly locals during your round and making many new friends on a Thailand golf holiday. Just don’t be surprised if you miss your Thai caddie when you return home and play without one. Portugal (9): Even though there are only 70 golf courses Portugal is one of Europe’s best golf destinations. The Algarve region is the most famous golfing area and the best course there is Victoria Golf Vilamoura, home of the 2013 Portugal Golf Masters and tour stop for the European Tour. However, my course in Portugal is the Seve Ballesteros designed Porto Santo. This traditional links course plays along the Atlantic Ocean and is as good as golf gets! Thailand (7): There is good golf cross the country with most of best courses in Thailand in and around Bangkok, Pattaya, and Hua Hin. 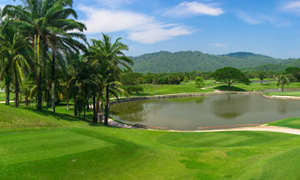 Thai Country Club has hosted more professional golf events than any other Thai golf course. Black Mountain Golf Club is the only golf course in Thailand to be rated in the top 100 courses outside the USA by Golf Digest. Portugal (6): The golf in Portugal is good, but don’t expect much in the way of service on the golf course. There are no caddies, hardly any Portuguese play golf, and it is very difficult to find Portuguese workers who have a service mindset. However, the golf resorts in Portugal can be excellent. My most memorable experience was at the Four Seasons Country Club, Quinta do Lago. Thailand (10): Service, hospitality, and Thailand are synonymous with each other and golf is no exception. Thais golf as much as the visitors and you can always meet friendly locals on the golf course. Caddies are standard at all Thailand golf courses and will be missed by every visiting golfer on their first round back home. New Zealand (10): With over 400 golf courses, New Zealand is a golfer’s paradise. My 2 favorite New Zealand golf courses are Cape Kidnappers and Paraparaumu Beach, both of which rival any of the best golf courses in the world. 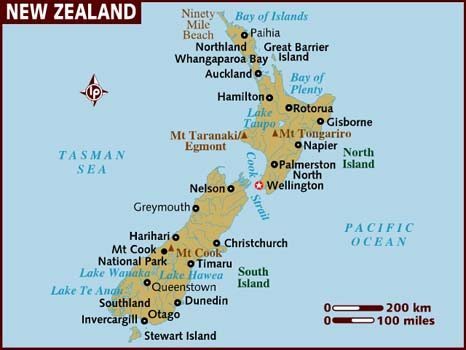 Many other great golf courses in New Zealand can be found around the big cities of Auckland and Christchurch and also among the smallest country towns. Thailand (7): There is good golf available in Thailand, with the best courses mostly located around Bangkok, Pattaya, and Hua Hin. Riverdale Golf Club in Bangkok is a good example of one of the newer top courses while Laem Chabang International Country Club is a time tested Jack Nicklaus design in Pattaya. New Zealand (8): Golf in New Zealand is well developed and Kiwis are noted for being friendly and casual people. This leads to generally a good service standard wherever you travel to, albeit with more do-it-yourself approach than is found in Asia. Thailand (10): The golf in Thailand is all about service. Friendly locals and caddies greet golfers from around the world at every golf course across the country. Try playing on your own when you get back from a Thailand golf holiday! It will be then when you really miss the Thai service. 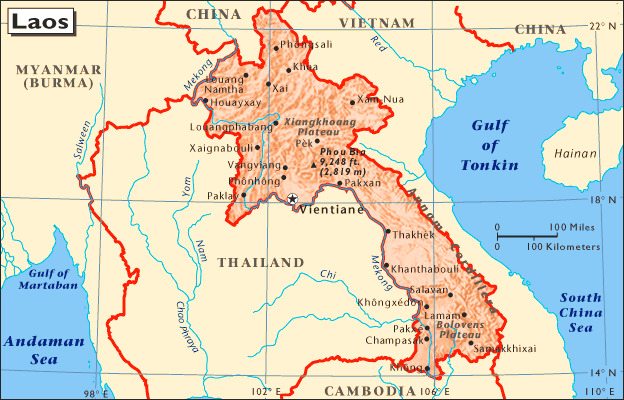 Laos (5): Laos is behind other neighboring countries with only 7 golf courses open for play. Most Laos golf courses are in the capital Vientiane and are only average in quality. However, Luang Prabang Golf Club, in Luang Prabang is the country’s best having hosted 2 Asian Tour events, with spectacular scenery, and excellent playing conditions. 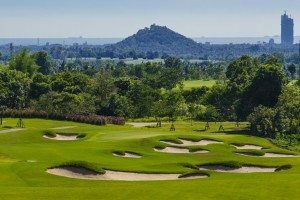 Thailand (7): There are many championship golf courses in Thailand including Siam Country Club (home of the Honda LPGA) and Black Mountain Golf Club (Royal Trophy and Black Mountain Masters). 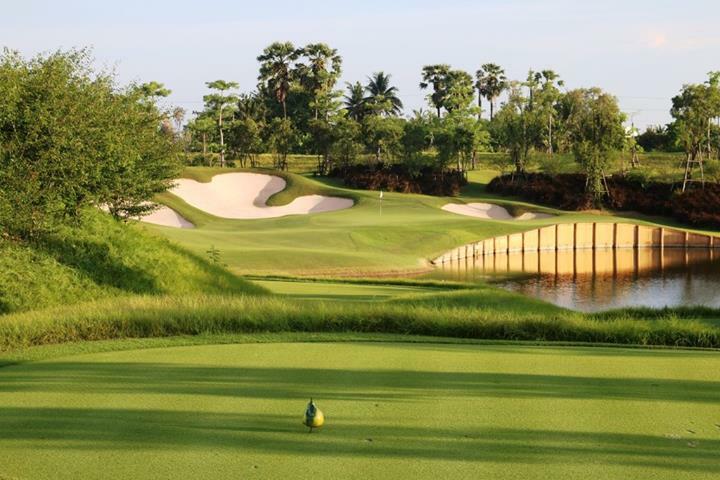 Golf In A Kingdom includes all of Thailand’s best golf courses. Laos (4): Golf in Laos is a relatively new and as such finding trained service personnel at the golf clubs is difficult. Most staff and caddies hardly speak any English and are not familiar with the rules golf. This detracts from the otherwise good overall golfing experience. Thailand (10): The land of smiles carries on its name onto the golf course as well. Friendly locals and caddies are everywhere at all Thai golf courses. Try playing when you get back from a Thailand golf holiday to really appreciate the Thai service! 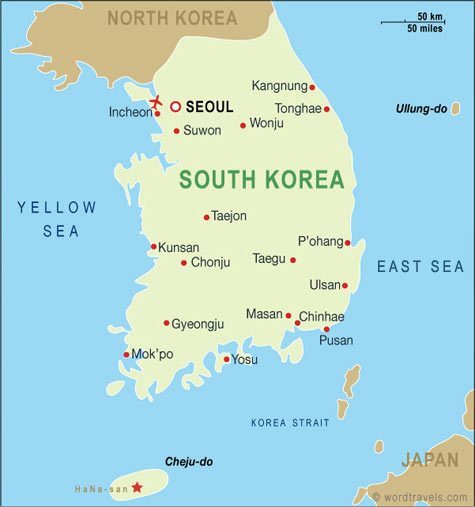 Korea (7): Korea is a mountainous country with around 200 golf courses scattered from North to South. However the best golf courses are located on Cheju Island, sometimes called Korea’s Hawaii due to the year round temperate climate. My two favorite Korean golf courses are Nine Bridges and Sky 72, both of which have hosted numerous professional golf tournaments. 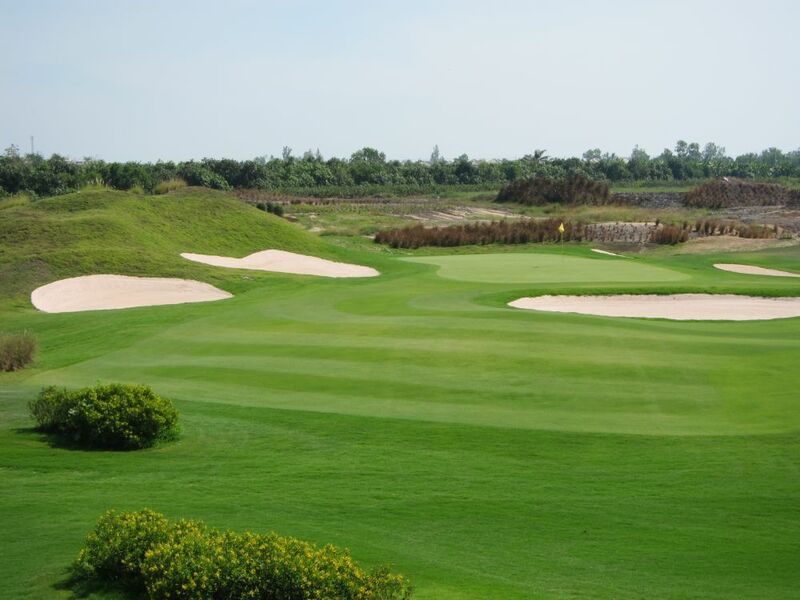 Thailand (7): There are many excellent golf courses in Thailand. Thai Country Club (site of Tiger Woods 1997 win) and Siam Country Club (home of the Honda LPGA) are two stand-outs. The best golf courses are all part of Golf In A Kingdom. Korea (6): Golf in Korea is a long but smooth process. Tee-times and pace of play are strictly adhered to as most of the better courses are full from sunrise to sunset. A round of golf can include a break for lunch too, which is good if you like Korea food. Thailand (10): Service on the golf course in Thailand is all about smiles. You meet friendly locals and caddies which are standard at all Thai golf courses. Try playing without a caddie after you get back from a Thailand golf holiday to really appreciate the Thai service! 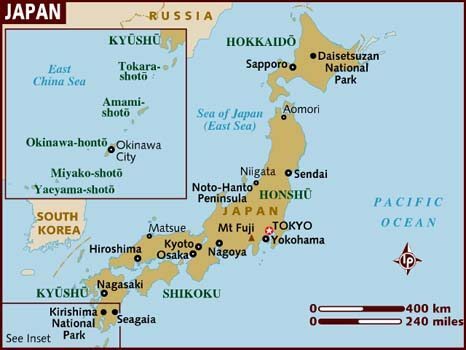 Japan (7): The country has over 2,400 golf courses from North to South. Unfortunately, the best clubs are private, so make sure you call ahead to see if unaccompanied visitors are allowed. Some of my favorites that do allow visitors are the Fuji Course at Kawana Hotel and Taiheiyo Club Gotemba Course. Thailand (7): The vast majority of golf courses in Thailand are open for daily fee play. Some of the best in this category include Siam Country Club (home of the Honda LPGA) and Riverdale Golf Club. The best golf courses are all part of Golf In A Kingdom. Japan (7): If you want to golf in less than 8 hours, then golf in Japan is not for you. Of course this includes 18 holes of golf with a 2+ hour break in between for lunch, sauna, and a change of clothes. Not bad actually if you want to experience real Japan. Thailand (10): You meet friendly locals all over Thailand. A good example is the caddies which are standard at all Thai golf courses. Try playing without a caddie after you get back from a Thailand golf holiday and you will see what I mean. Hong Kong (6): There are some excellent golf courses in Hong Kong; many with great views over the surrounding South China Sea. The only public golf course is also one of the islands best. The 36-hole Gary player designed Kau Sai Chau Golf Course is set on an island just off the coast. 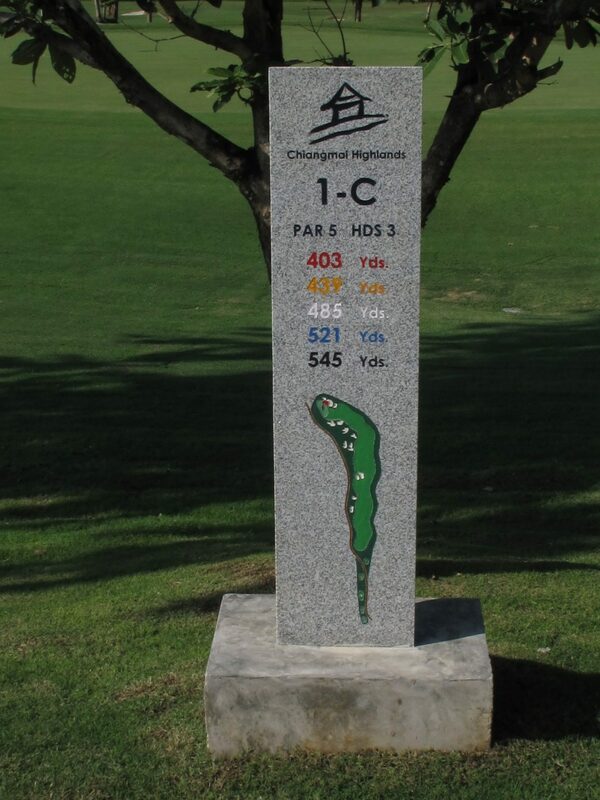 Other standouts, albeit private, include the Hong Kong Golf Club’s Fanling Course; home of many professional PGA events. Thailand (7): Golf in Thailand can be played across the country and of the 250 or so courses, 60 are worthy of visitors. 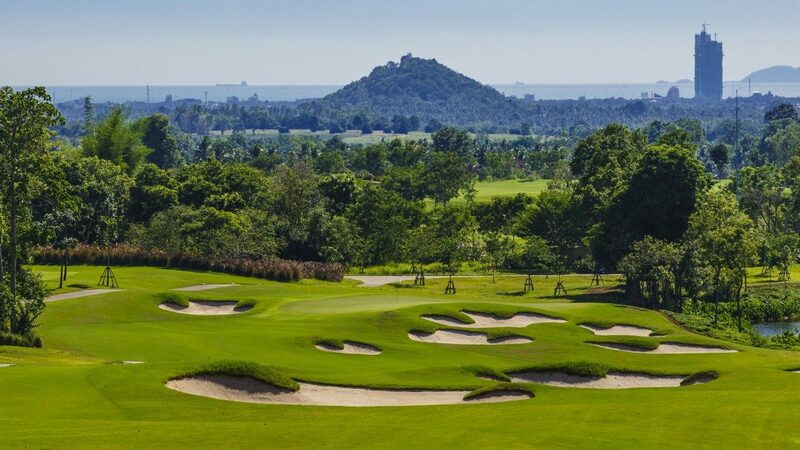 The number one Thai golf course and only course in the 100 best courses outside the USA is Black Mountain in Hua Hin. Hong Kong (4): The island state is better known for shopping bargains than service and the same carries over to the golf clubs. Notably missing are caddies, which makes Hong Kong one of the few places to golf in Asia where one can carry his/her own bag. Thailand (10): Thailand on the other hand is all about service excellence. Golf clubs are as visitor friendly as any place on earth. How hard could it be to play with a smiling caddie by your side through the whole round? Germany (6): Since the 1980’s many new golf courses have been built and the golf in Germany has flourished. 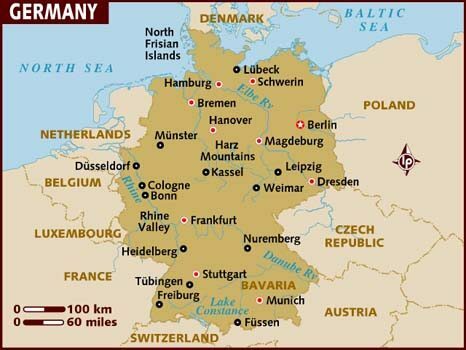 There are now more than 600 German golf courses across the country including hundreds of excellent ones and a handful of outstanding resorts. The Sport & Spa Resort A-Rosa set among pine forests is one of the best examples with the Nick Faldo 18 being the best of the 4-course (63 hole) lineup. Thailand (7): Thailand has 250 courses spread out across the country. Every major designer is represented and the Jack Nicklaus courses at Laem Chabang in Pattaya, Springfield in Hua Hin, and Mission Hills Phuket are among the most popular. Other excellent courses include Siam Country Club in Pattaya and Black Mountain Golf Club in Hua Hin. Germany (5): Outstanding hospitality is far from synonymous with Germany. However, the unique character of each region makes for memorable golf trips nevertheless. Thailand (10): Thailand sets the standard for service excellence and this extends to the golf courses as well. From the well-trained caddies to the bell boy at the hotels, outstanding service with a smile can be counted on. It is no wonder Thailand is nicknamed “Land of Smiles”. Egypt (6): Golf in the Egypt is widespread, especially in the resort areas such as Taba and Sharm El-Sheikh. 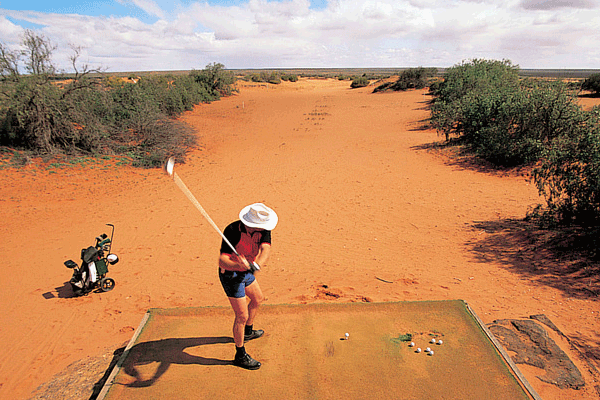 Additionally, the Gary Player course at Soma Bay Resort is a sure standout. A high concentration of golf courses can also be found are in and around Cairo with the 27-hole Katameya Heights leading the pack. Thailand (7): Over 250 golf courses in Thailand are spread out across the country. The best courses include Thai Country Club in Bangkok, Banyan Golf Club in Hua Hin, and Red Mountain in Phuket. 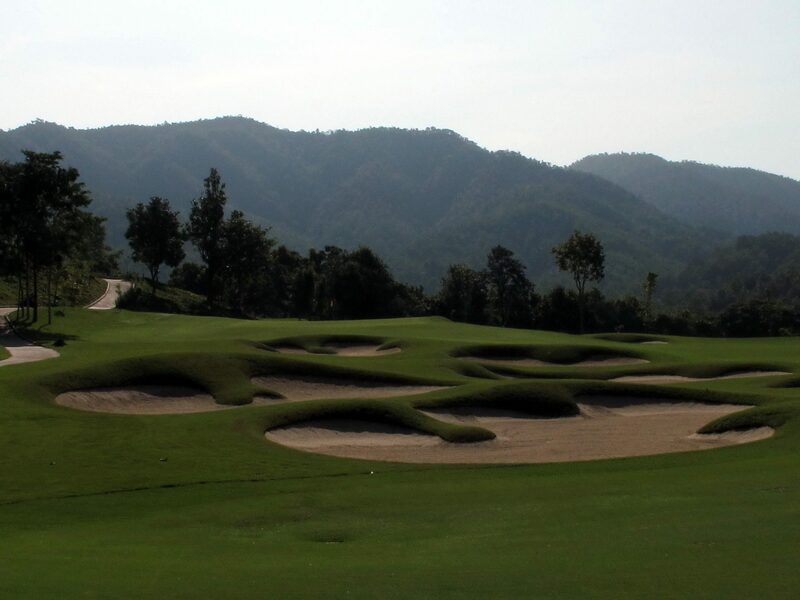 Chiang Mai in the north also has some top courses including Chiang Mai Highlands. Egypt (5): The golf courses in Egypt are generally self-serve with limited on-course service and no caddies. The resort courses attached to 5* beach resorts have better facilities, albeit Egyptian service is not the main reason why people travel to golf in Egypt. Thailand (10): Golf in Thailand sets the standard for service. All Thai golf courses have caddies to assist visiting golfs in every task imaginable, except hitting the ball of course. Expect service excellence at all courses, whether the course itself is 5* or not.